Bringing two families together as the result of divorce or death of a prior spouse is hard. It is not easy for anyone and it is normal to feel like you don’t know what you are doing. You are not alone in this as many many families experience exactly what you may be going through right now. How many times have you heard the phrase, “You are not my mom or you are not my Dad.” Ouch that can hurt deeply. Often children feel like a blended family is something to be hidden and embarrassed by especially to their peers who might have intact families. While they will minimize and hide it with others, this can often lead to emotions spilling out within the family unit. According to the Stepfamily Foundation, they cited a study done by psychologist Judith Wallerstein regarding stepfamilies and stepchildren in particular that was eye opening. According to the study, only 45% of children do well after divorce, 41% said they were angry, and most felt like they did not have a good model for a healthy relationship. Divorced parents share too much personal information with their children. Many divorced parents cannot separate their own needs from the needs of their own children. A majority of parents are disorganized which causes a slow diminished emotional connection with the child and stunts there growth. 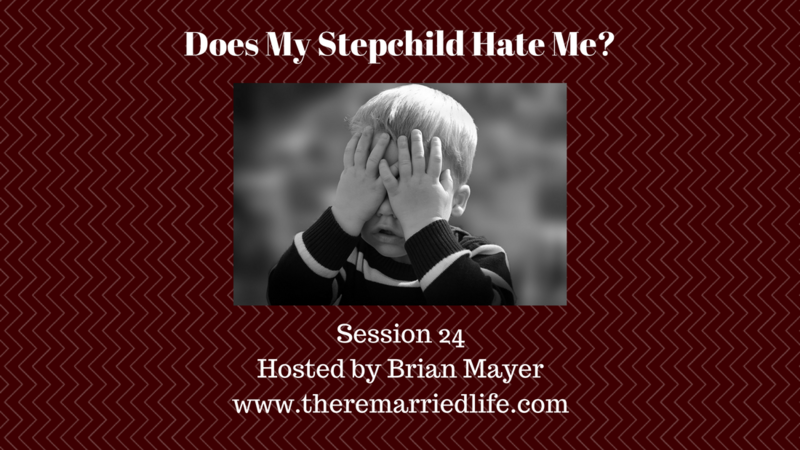 Let’s talk about some things you can do as a step parent to help your step child hopefully see you in a bit of a different light. First, take care of yourself! This means taking care of your mental, physical, and emotional needs. You must be in a healthy place if you are to properly parent. Ever heard of putting your own oxygen mask first before helping someone else with theirs? The same holds true for step parents. This could mean taking time at the gym, reading for leisure, connecting with others. Just remember there needs to be balance. If you love golf, playing 5 times a week may not be the answer. Integrate slowly. This means initially have short interactions with each child and do not overwhelm them with your presence, your needs, and your expectations. Remember change is hard and being abrupt will only cause issues down the road. Maybe this means spending 2 minutes getting to know the child. Of course you will run into resistance. But asking the child to teach you something they know how to do and then letting them run the show can go a long way toward connecting. Be Empathetic. If a stepchild complains that they miss the other parent then be empathetic. What this means is learn to sit with the child’s pain. You are not responsible to change their feelings or scold them. This can be hard because you might take this as an attack on your personally. Just realize it is not. Even if it is, remain the mature adult confident in who you are and what you are doing. Allow the biological parent to do most if not all of the discipline especially initially. Ever heard of the quote, “people don’t care how much you know until they know how much you care.” The same holds true for the step child and step parent relationship. While children will say they don’t like discipline at all, when it comes from a step parent early on it can cause animosity. Make sure you take this piece slowly and be in constant communication with your spouse. That piece can be tough and an entire other conversation. Schedule time alone with each stepchild doing something they would enjoy. This is extremely important especially after the family has been established somewhat. Kids can detect when the time and attention with biological kids feels unequal. Finally, just parent as if you are looking into the crystal ball. What I mean by this is to give them what they need for life after they leave you. Too often we get frustrated in the moment and feel like what’s the point. Parent as if you are imagining when the child is 35 years old, that they will say they appreciate how you parented and hung in even when times got tough.